In this podcast, Eppendorf Bioprocess Field Application Specialist Ankita Desai discusses the challenges of scaling up a cell therapy. In this podcast, part of our focus on cell therapy development, Ankita Desai, Bioprocess Field Application Specialist, Eppendorf (Hamburg, Germany), discusses the challenges of scaling up a cell therapy and the advantages of a bioreactor-led method. 0:42 How abundant are stem cells in the body, and how many could be required for a dose of a cell therapy? 1:31 Why is it a challenge to scale up stem cells? 2:54 What are some common methods used and what are their downsides? 3:45 How could use of a bioreactor help in the scale up of stem cells? 4:56 How can temperature, pH and levels of dissolved oxygen affect cell growth? 6:45 How does seeding on aggregate vs microcarriers affect the scaled-up cells? 8:07 What challenges might researchers who are moving from existing methods to a bioreactor-led method face? 9:06 What resources are available to help researchers overcome these? 9:45 What do you think is the future of stem cell scale up for cell therapies? 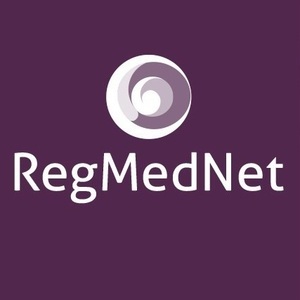 Learn more about cell therapy development and join the conversation today on RegMedNet.com, Twitter, Facebook and LinkedIn.